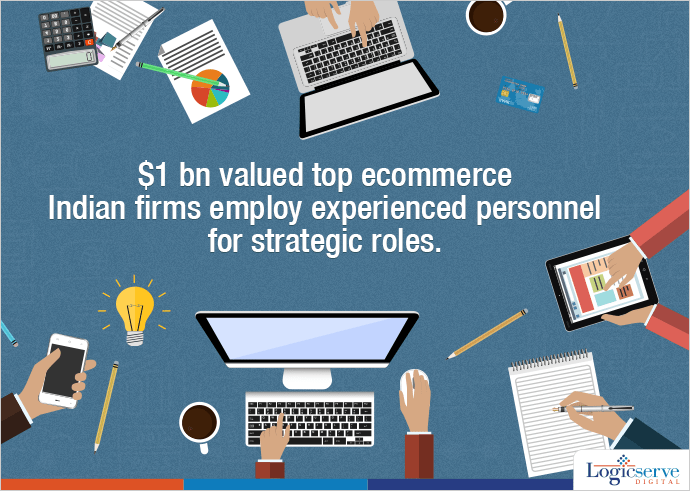 The unicorn club of top Indian ecommerce firms such as Snapdeal, Flipkart and Ola armed with their $1 bn valuation is on a look out to hire experienced executives for their key roles to accomplish their new initiatives with ease as they vie to stabilize their entity and grow internally as well. Taking cue from these recent hires viz. Flipkart bought Krishnendu Chaudhury and Ravi Garikipati from the Silicon Valley to lead the image sciences and move ahead in their value chain process while performing the role of ‘entrepreneur in residence’. Also, Flipkart’s Peeyush Ranjan, head of engineering has set a up a ‘F24’ programme to tackle any issues faced by his 1200 strong team of engineers within 24 hours keeping in mind Flipkart’s mission to lead the ecommerce segment. Peeyush acquired immense experience in this area during his previous stint as the head of the engineering group for Google’s Android One project. Recently, Ola Cabs hired Sundeep Sahni, who was previously associated with Lazada, Indonesia and made turned it into the topmost ecommerce entity. His entry is marked with Ola cabs offering services in two tier cities and accepting cash payments in select cities. Also, Sumit Singh has joined Ola as head of product design after working for 5 years with Cleartrip who along with his team will extensively work with the engineering team to improvise their services. Snapdeal has gone ahead to hire Jeyandran Venugopal, ex-Yahoo India to chalk out its future technology plan while Jayant Sood, ex- Bharti Airtel and American Express has been hired as its Chief Experience Office along with hiring many expert and experienced executives to lead its strategic product divisions. Weekend Digital Media Round-up: Google’s New Smart Screen Competitor To Amazon’s Echo Show, Twitter’s doubling the length of tweets, Snapchat’s Sponsored 3D World Lenses and more..